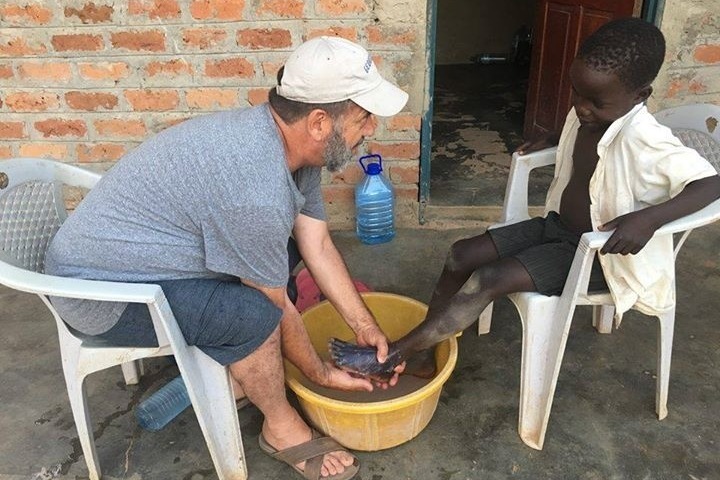 I am raising money to build a new gate for the Soroti Uganda compound where my good friends Ruudy and Beckie Olupot's LOCODI mission is centered. The purpose of the gate is to finish the compound enclosure for security and to keep livestock and poultry from roaming away. Also we are trying to raise funds to help Daniel receive hands-on training to understand all aspects of raising chickens. Remember, the chickens serve many purposes. They are the source of personal accountability, income, and food - all benefiting and helping young people to prosper autonomously. Eventually we will raise money for goats and turkeys. To be successful, feeding practice, disease prevention, and general knowledge are essential. Please help. What the Lord has started, HE will see through. Amen.